Even for a Marvel hero: The Hulk has attracted an astonishing share of successors and imitators: Amadeus Cho, Rick Jones, Skarr, two different flavors of Red Hulk, and three flavors of She-Hulk. While there have been attempts at one point or another to curtail them, there’s something attractive about contrasting someone against their shadow. And even for a Hulk: Walter Langowski aka Sasquatch is the closest to the original there is. As the issue explores in detail, Langowski is everything Bruce Banner isn’t: handsome, an ex-football player, a respected superhero, and space diplomat. But as with anything else in this comic, there’s always something else beneath the surface especially with someone who’s seen the green door. So far, Al Ewing has largely kept the Hulk at a remove. We’ve largely seen the events of Immortal Hulk through the eyes of Bruce Banner who can only guess at the Hulk’s true motives beyond his far more ironic view of the world. 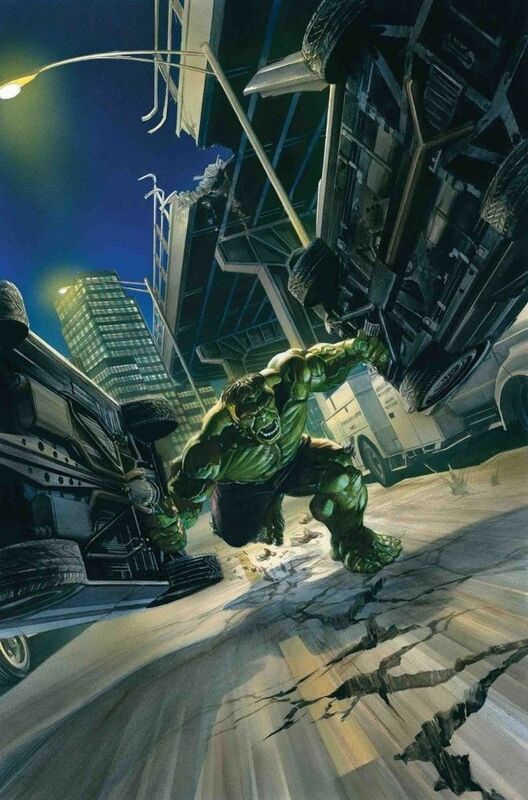 While the series has largely dealt with the Hulk tracking down other gamma-mutated people for reasons only known to him and them, in one-and-done issues. However, that changes when someone who’s (nearly) the Hulk’s equal takes an interest in what’s going on. What gives this issue a different twist is that the point of view is almost squarely through that of reporter Jackie McGee who’s been tracking the Hulk along with Langowski. It isn’t fractured between Banner and the Hulk, or between other people like the previous issue. Ewing also surprisingly manages to create a situation where perhaps even someone who has everything like Langowski could feel inferior to someone as distraught as Bruce Banner. At some point, it’s entirely possible someone meets another person that exceeds their talent, that they don’t measure up to. For Langowski that’s Bruce Banner, and it’s given plenty of reason to see why that would extend to their alter-egos as well as what’s behind the green door. In that respect it’s hard not to be amazed to see how Ewing can create a tension where someone as beloved as Langowski has a complex compared to the epitome of bad luck and misery like Banner, it’s also the Stephen King-esque noose that slowly tightens around his neck like anyone else who crosses the Hulk’s path. As always, the credit for the chilling tone of Immortal Hulk does owe a great deal of thanks to the art team of Joe Bennett, Ruy Jose, and Paul Mounts. Even for a book that’s about a giant green steroid monster, there’s a great deal of classical horror and tension lying underneath the surface with Bennett’s pencils and Jose’s inks. Even something as simple as Langowski’s disarming smile and the flashbacks to his past with Banner are creepy. The sickly lights Mounts uses in this issue also help to elevate the tone of the issue that Ewing’s script establishes here. Now is as good a time as any to jump into Immortal Hulk. While the last three issues have been singular stories with some serialization, this issue ramps up the adrenaline. This Hulk run is going to be one for the ages, and it’s good to get in while things are just starting.